Bienvenido a Sweet Life Peschiera del Garda. Sólo 4 km from Peschiera del Garda, Sweet Life has an outdoor pool and furnished garden with vineyard views. The en suite rooms are all air conditioned and offer free Wi-Fi. Modern-style rooms at Sweet Life feature a flat-screen TV and minibar. Some rooms have a terrace, while the private bathroom includes a bathrobe, free toiletries and a hairdryer. A choice of local cakes is served as part of the buffet breakfast as well as savoury products. Restaurants and bars can be found within 4 km of the property. Sweet Life is well placed for exploring Lake Garda, and the Gardaland theme park is just 8 km. It is a 30-minute drive from Verona Valerio Catullo Airport, and a shuttle service can be arranged. 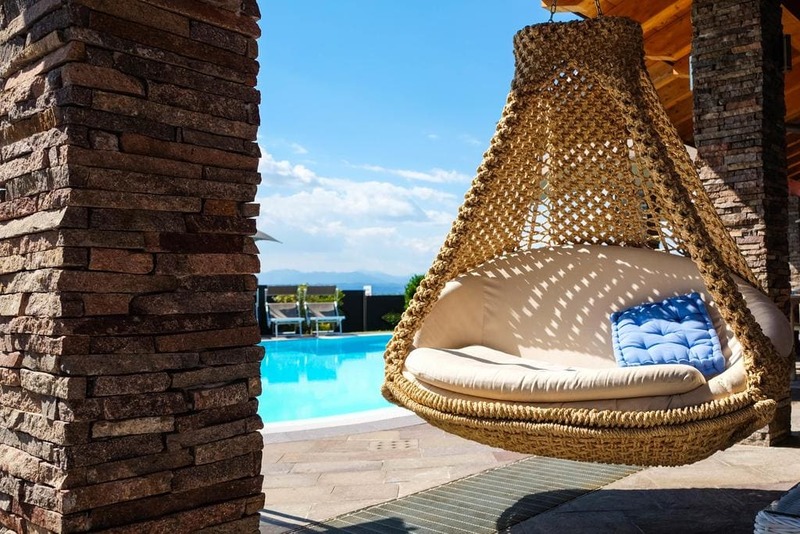 (Sweet Life Peschiera del Garda hotels).